A reminder for all our photography friends! The original post came out in July this year. 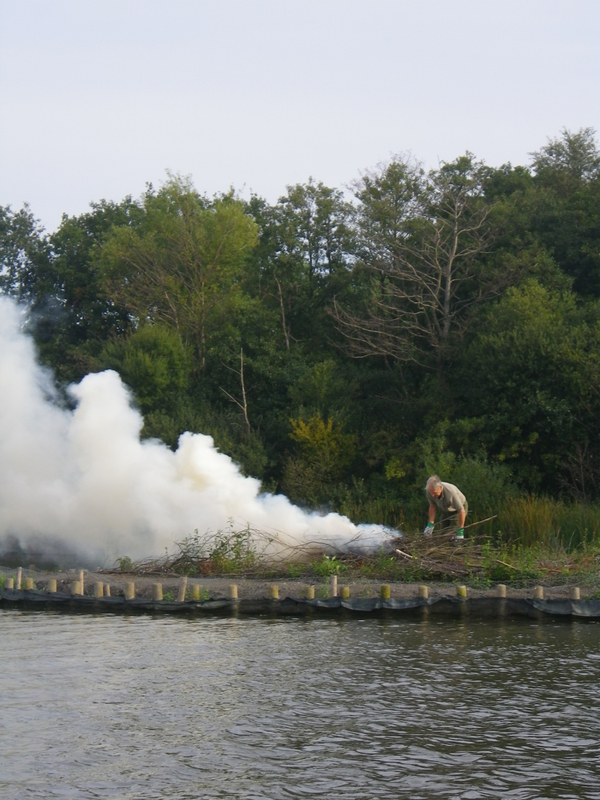 The ‘Last of the Summer Wine’ (LOSW) team are a number of volunteers that meet on a Friday to do a wide variety of conservation tasks around the Pond. Over the last couple of months they have been focusing on the new islands, as seen in the photos. By the way, there’s an impressive aerial view of the new islands here. 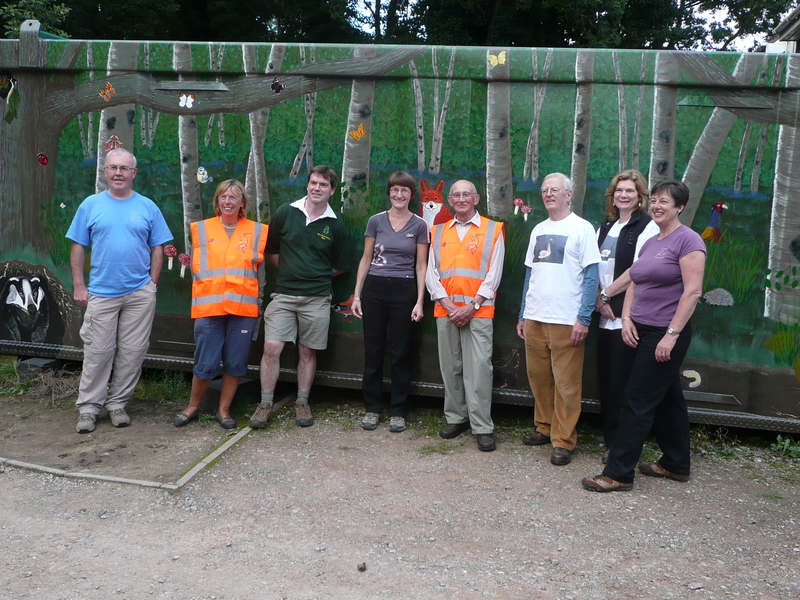 As well as doing really useful work, it’s all very lighthearted and fun as well. Apparently some of the team have even given themselves names eg Compo and Marina! 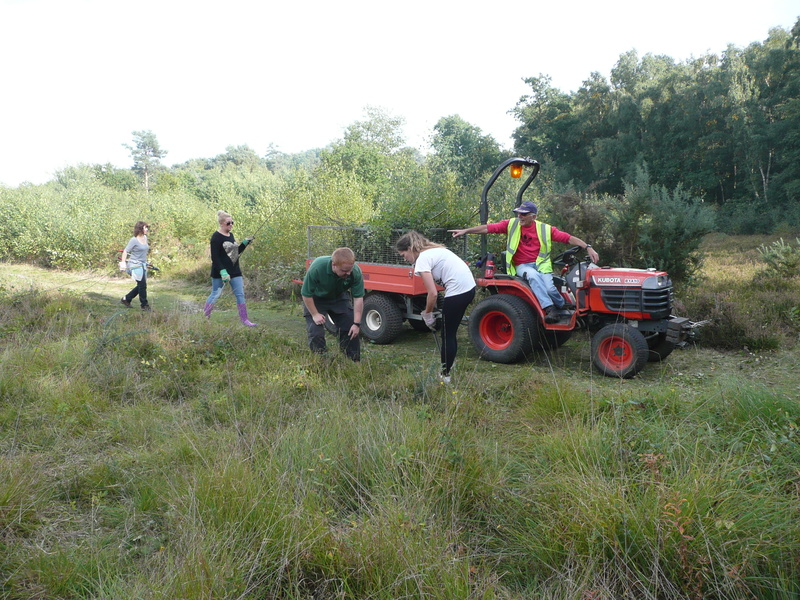 If you have some time on a Friday and feel like doing some voluntary work in the fresh air, please get in touch with the organiser Terry Austin on 01252 624925 or email tsandja2010@live.co.uk for further details. 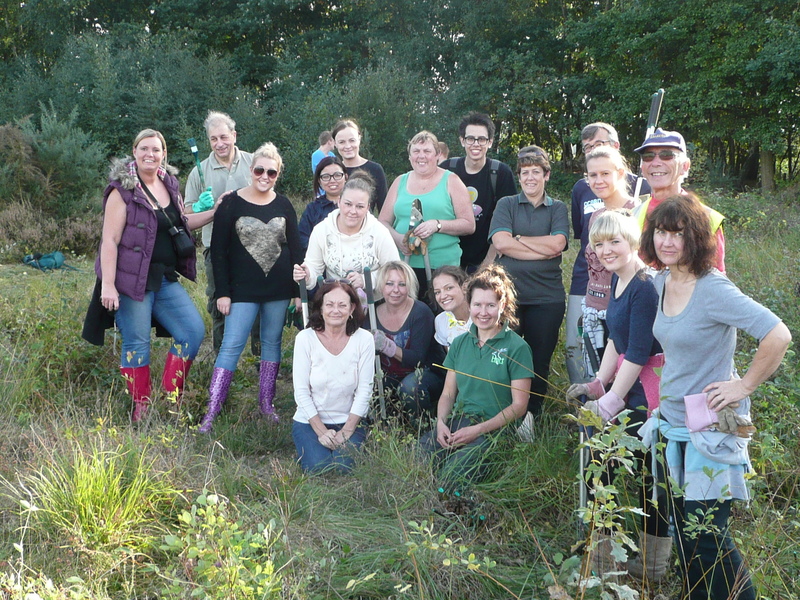 The team consists of a mix of ages and genders and new volunteers are very welcome. 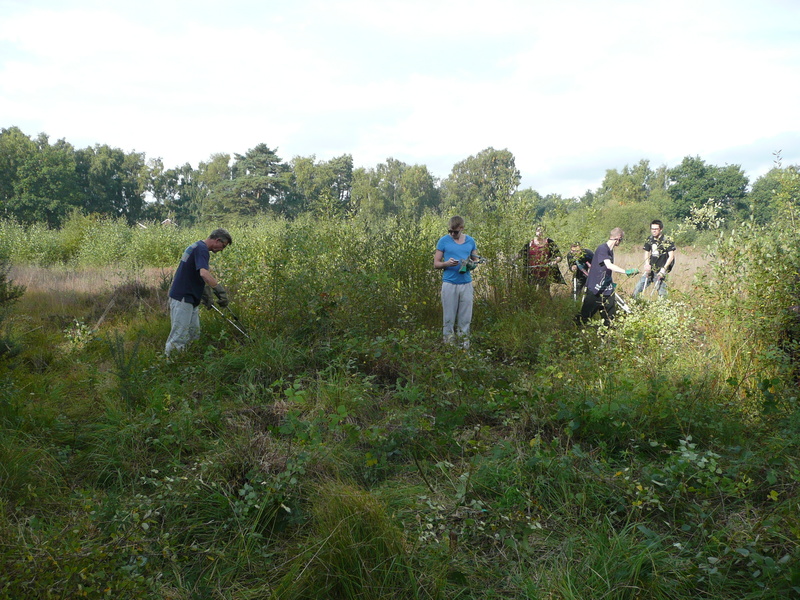 On Wednesday 2 October, a large team of volunteers from Premier Inn (PI) took part in a conservation event at the dry heath at Fleet Pond. It was part of a series of team-building activities that were being carried out prior to the opening of the new PI hotel in Fleet on Monday 7 October. 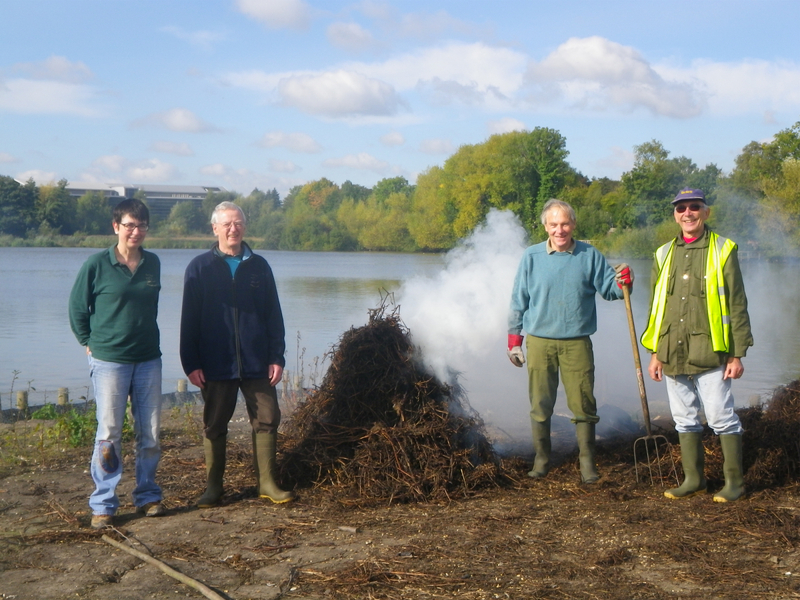 The weather was great and a lot of work got done, mainly clearing birch, and was supervised by Rangers as well as members of Fleet Pond Society (some of which are in the photo above). 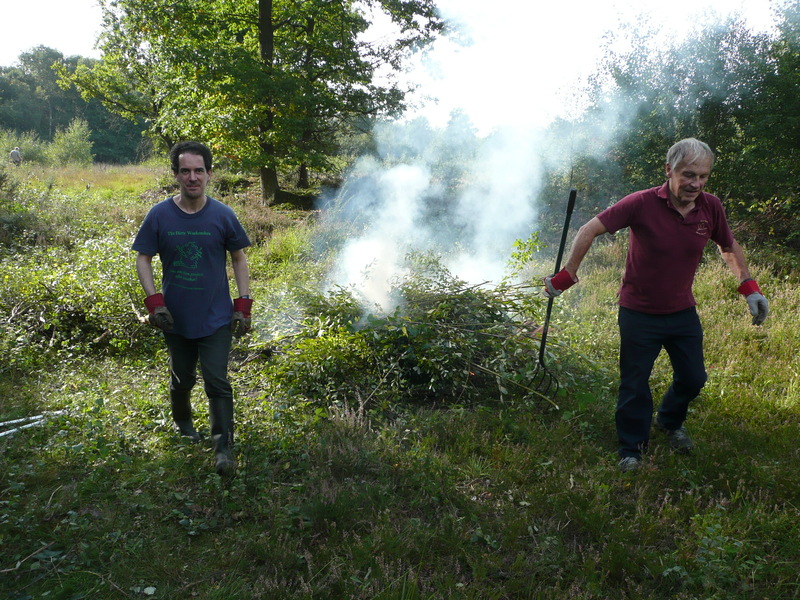 FPS volunteers starting a fire – smokey work! 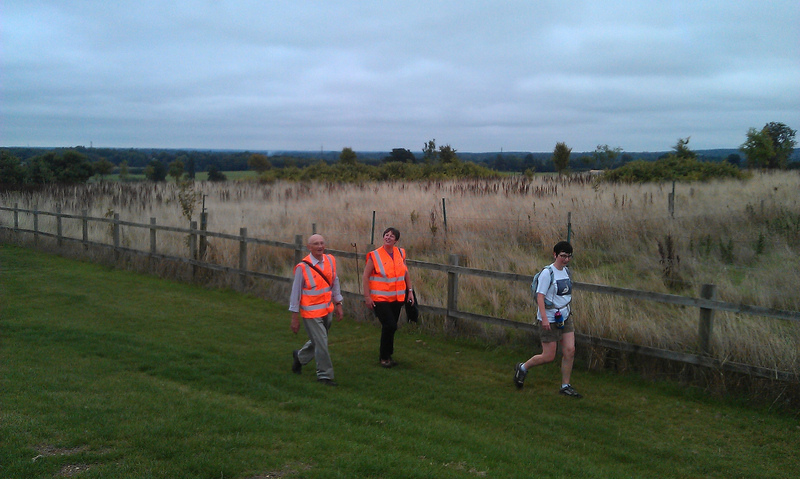 A Very Successful Charity Trek! 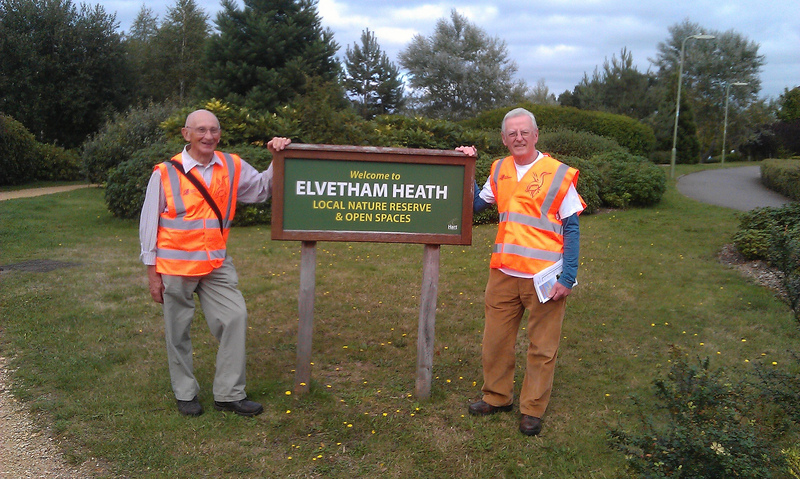 On Sunday 22 September, Colin Gray set out and successfully completed his challenging 21 mile trek! 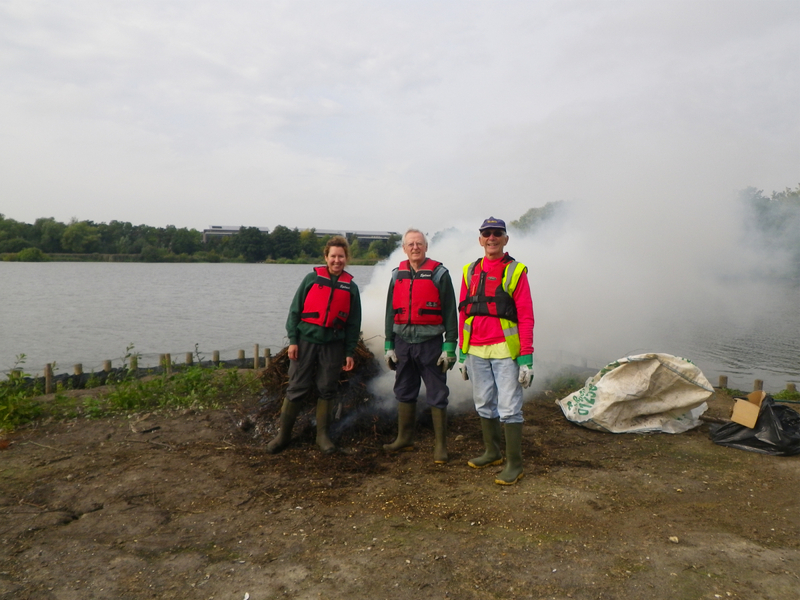 The aim was to raise money for the Fleet Pond Clearwater Campaign and, as of today, nearly £1,800 has been donated – many thanks to everyone! Full details of the trek can be found here and an interesting set of pictures from the day can be found here. The photos immediately above and below come from this set. 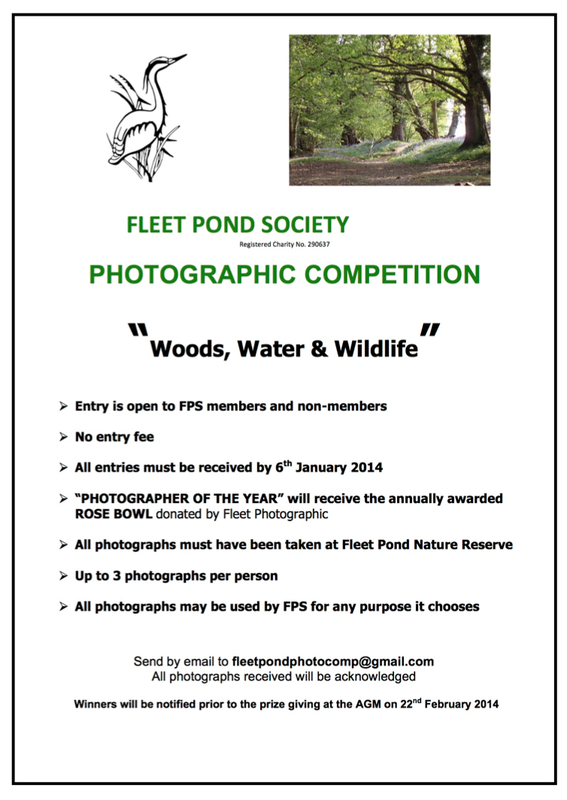 The photos were kindly provided by Nick Keeley, who is the Treasurer of Fleet Pond Society. Nick is very familiar with such charity events as in 2010 he cycled to Liverpool and back to raise funds for Fleet Pond! It’s not too late to support Colin’s achievement and you can donate online here. Picture credits: Nick Keeley (top two, with permission), bottom David Pottinger. You are currently browsing the Fleet Pond Blog blog archives for October, 2013.